The Arc Eye Hawkfish, Paracirrhites arcatus, or the Arc-Eyed Hawkfish, has a characteristic horseshoe-shaped mark behind its eye. 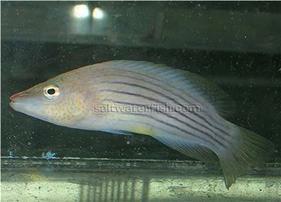 It is primarily a perching fish that will spend lots of its time atop live rock, so plenty should be present. 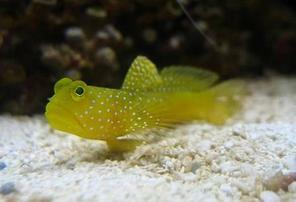 Due to its potential for territorial aggression, the Arc Eye Hawkfish should be introduced into your tank last. It may still harass new additions to the tank, however. 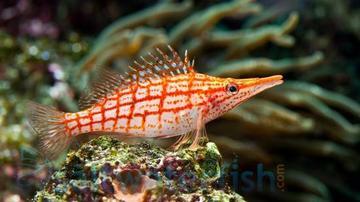 As a predator, the Arc Eye Hawkfish will devour small inverts and fish so tankmates should be selected carefully. 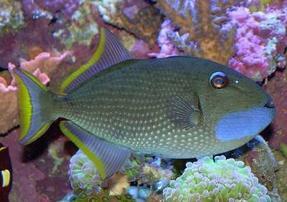 They take a diet of live or frozen meaty foods and will often scavenge the tank and substate themselves. 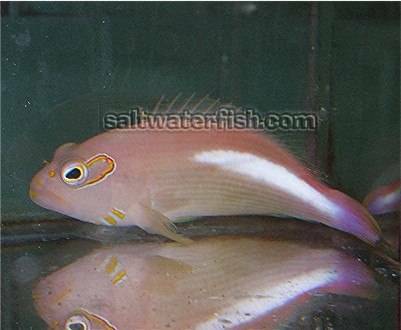 This is one of the best Hawkfish species to care for as it is hardy and long-lived if housed with the proper tank mates.